A very reliable Rig that delivers deep coring capabilities but has a small environmental footprint in remote locations. This multi purpose Rig provides the flexibility to quickly change from Deep coring to RC drilling. 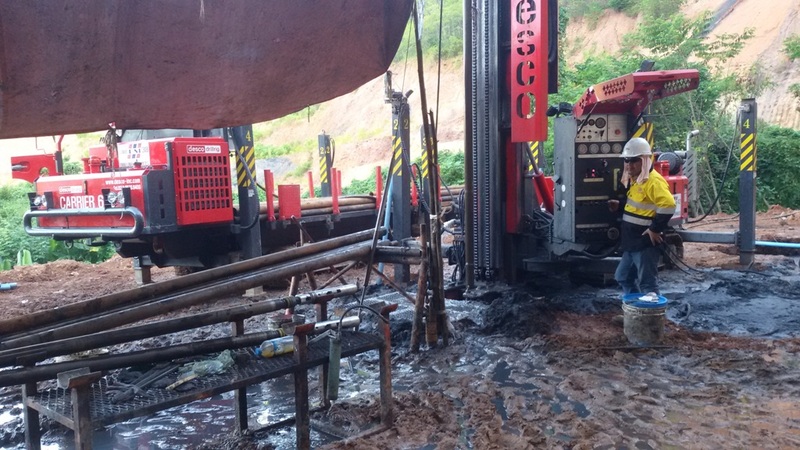 Thor drill rigs are proven as a robust, rugged and extremely reliable rigs. Very versatile Rig, from Grade control to Deep RC holes up to 350mt. The HCR-1500ED-II with a short mast using 3.6mt rods. These rigs are ideally suited for Civil and contour drilling as well as Blast Hole and angled wall control. The DCR 20 down hole hammer blast hole drill is ideally suited for larger diameter and deeper blast holes when required, bit diameter 102mm to 165mm. The Prakla RB-40 Universal Rotary is suited for a multitude of drilling applications with bore hole diameters of 4″ (108 mm) to 40″ (1016 mm) and drilling depths up to 700 m.
SP4500S is capable of both wireline and conventional coring, as well as DTH, rotary drilling methods with pullback capacity of 10 ton and a torque can be increased. The CSD 500C man-portable drill rig is specially designed for diamond drilling in poor-access locations. The robust structure and precise control system ensures a high penetration rate and outstanding reliability. Parts Sentra Indomandiri has a continual interest in supplementing its staff through the additional of highly qualified, motivated professionals of the highest integrity. Our Spare Parts stores are fully equipped to provide the full range of spare parts to support all our sites in addition to the on site stores. Our workshop provides component rebuild services and full machine shop services to support all our sites. PT Parts Sentra Indomandiri is based in Balikpapan, East Kalimantan and supplies Drilling Services and Support to the Mining and Mineral Exploration companies in Indonesia. Working under the name PSI Drilling Services and Support the company continues to supply a full range of drilling and exploration services – from man portable exploration – Diamond Drilling – Reverse Circulation Drilling – Waterbore Drilling – Grade Control Drilling and Blasthole Drilling. 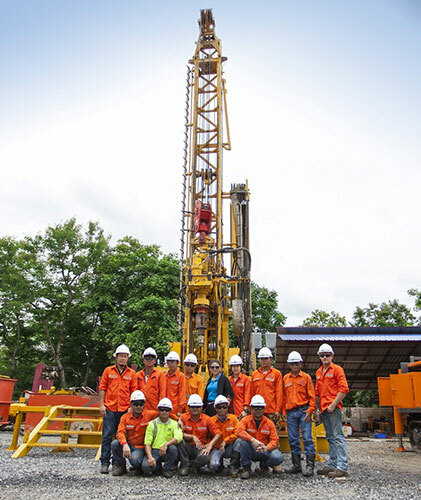 PSI Drilling has the ability to supply a one stop service through the utilization of a modern fleet of Drilling equipment consisting of 50 Drill. 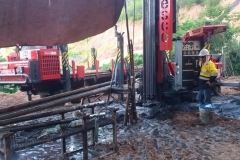 PSI Drilling have a well earned reputation in the industry to deliver where other drill companies have struggled because we have the experience, expertise, qualified staff, equipment, processes, financial stability and support structures in place to maintain consistency and continuity of drilling operations 24hours a day for 365 days of the year. Rigs and additional support equipment operating in all sites and commitment is guaranteed.